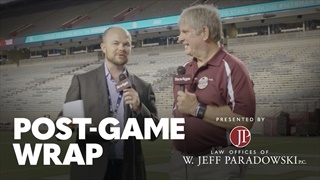 Each week, former Texas A&M quarterback Stephen McGee breaks down key plays from the previous game. 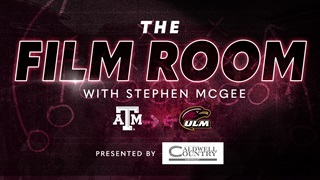 This week Stephen and Gabe take a closer look at the Xs and Os of the Aggies' 48-10 victory over ULM. What in the world is a Warhawk? 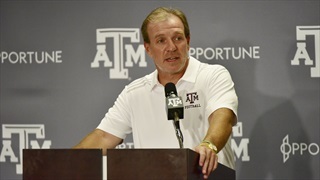 How much do Aggies fans trust Jimbo Fisher? Lia Musgrave gets to the bottom of these questions and more in this week's episode of Tailgate Talks. The Aggies proved the national hype from the Clemson game wouldn't lead to a let-down against ULM. Billy Liucci has thoughts on all facets of the Aggie performance, making special note of Kellen Mond's continued improvement and big defensive adjustments at halftime. 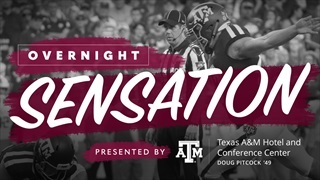 Filling in for regular starter Daniel LaCamera, true Freshman Seth Small was sensational for the Aggies Saturday night against ULM, making both FG attempts and a perfect 6-of-6 on extra points. The Aggies bounced back from a tough loss with a win against ULM. Halftime adjustments helped usher in an A&M blowout victory against the Warhawks at Kyle Field. 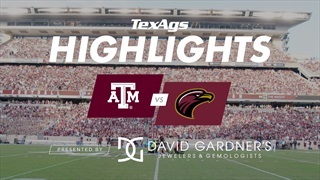 TexAgs gives you a field-level view of the game's best plays and moments. 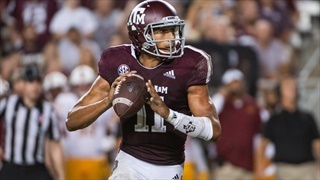 The Aggies bounced back against ULM with a commanding 48-10 victory. Gabe Bock and former A&M LB coach Alan Weddell discuss what this win means for the Aggies as they prepare to play No. 1 Alabama next Saturday. 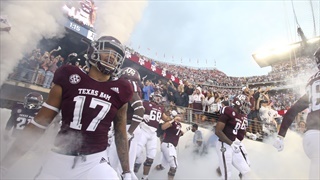 TexAgs presents a full photo gallery from Texas A&M's 48-10 win over ULM. QB Kellen Mond and RB Trayveon Williams had another strong night and LB Tyrel Dodson returned a blocked kick for a score as A&M blew out ULM. Afterwards, Jimbo Fisher and several A&M players talked about the performance. 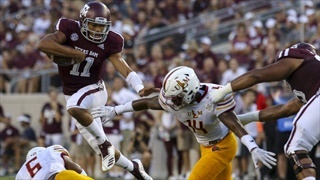 Texas A&M avoided a potential trap game in week three against the Warhawks of ULM. 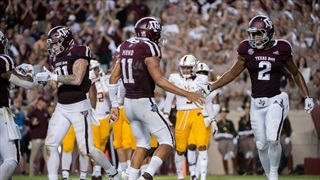 In a week that was filled with upsets, the Aggies took control early in the game and never looked back with QB Kellen Mond leading the way with another impressive showing. 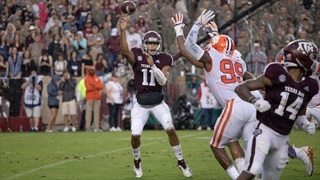 Recovering from a heartbreaking loss to No.2 Clemson a week ago, the Aggies bounced back in a big way, as they cruised past the Warhawks, as Mond threw for 210 yards and Tyrel Dodson took a blocked field goal attempt back for a score. The Aggies look to bounce back after a tough loss against No. 2 Clemson. 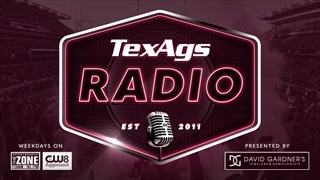 Follow along live as Gabe Bock and the TexAgs crew provide their takes on the game against ULM. 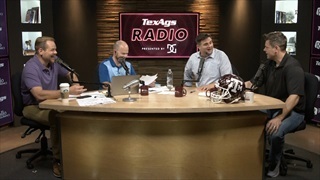 During Friday's edition of TexAgs Radio Gabe and Billy were joined in-studio by Tom Hart & Cole Cubelic of the SEC Network as well as Steve & Seth McKinney to get you ready for A&M-ULM tomorrow night at Kyle Field. 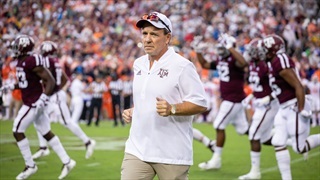 During Friday's edition of TexAgs Radio, Fox Sports play-by-play man and Louisiana-Monroe graduate Tim Brando joined Gabe and Billy to share his thoughts on Jimbo Fisher at Texas A&M and tomorrow's game at Kyle Field. 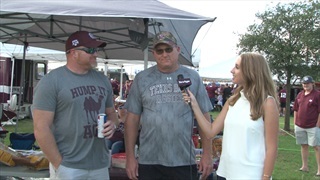 Some Aggies were happy with the Clemson game and want to talk about the positives. Others were pissed and want to complain and make fun of refs and tu. And some like Stewade want to do both. 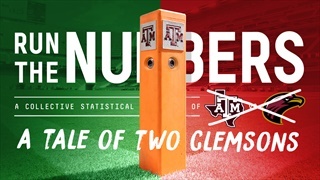 So TexAgs is proud to present Run the Numbers: A Tale of Two Clemsons. After falling to Clemson late in the fourth quarter on Saturday night, the Aggies will now look to get back to winning ways against the University of Louisiana-Monroe. Billy Liucci details the players on both teams to keep an eye on. 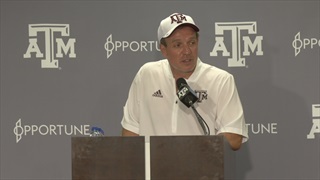 Texas A&M head coach Jimbo Fisher took the mic on Monday morning after a down-to-the-wire loss to second-ranked Clemson. Follow along as TexAgs provides live updates of the press conference. 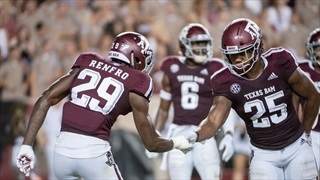 There were no excuses in the Texas A&M locker room Saturday night, but to those looking on it seemed clear the Aggies are on the brink of a special era. Billy Liucci looks beyond the scoreboard to what we learned about Jimbo Fisher and his team against Clemson.